I have a crash when I enter the car. Well that's no good. Did you get your drivers license yet? Try sticking to the speed limit. The Traffic&Travel.ini file with modloader wont load. What the problem can be? Help please. Man why you are installing this by modloader?? Try to install by default method..
@Pep legal, Man I want to change the backfire effect when vehicle become overheated but the problem is when I try to open this script with sanny builder the page is blank so can you help me with changing the effect? Well man can you make trucks and trailers and bus to run fast and also make a fix of short spawn distance of vehicles when softTraffic is disabled? Been missing from modding scene for a while...slowly comming back ! - Mostly for performance issues (weak computers lagging as hell). Also included a "low end" INI file for those Toddler's laptops, with only basic features. - Customized cop vehicles for pursuits (some people asked for that). An idea what you think about Police car patroling the highway?? Where is 1.1? Or 1.2 is alright now? 1) Can you do something so that plugin don't spawn vehicles in the area which is forbidden by this opcode. 2) Can you recheck boat handling? I mean when I enter the boat and try to drive it, it starts acting like crazy. I have enable SoftHandling, so this might be problem (obviously I didn't changed boat handling). 3) I noticed that NPC's with bikes are starting to have some issues. They're sometimes driving backwards. 4) Any chance to get some rare countryside/desert traffic on the unused countryside roads? Like one road to the north of Las Colinas or at the Back'O'Beyond. Hi, Pep. Thanks a great deal for granting my request of including the customized cop vehicles for pursuit. I just haven't had time to come around the forum yet. It's so fun. Thanks again. T&T also uses that opcode...so, better not use it anymore. Have you tried defining "avoided areas" in INI file ? Latest release (1.2) fixed that ( I think ). If the road is Asphalted AND has Path nodes, T&T will spawn (eventually) on it. If I release it from the "asphalt" condition, crazyness is going to happen (like cars on top of mont chilliad ). I'll take a look anyway to see if it's possilbe to do it without too much work. - only for those using softHandling AND/OR softTraffic : overall re-adjust of several vehicle handlings. (again : only necessary replace the file Traffic&Travel.cs ). For civilian planes, can you add a 4-star wanted level feature for destroying a plane while the air and landing on the runway like in GTA V? Do you plan to change some terrain as well, especially SF (crazy 90 degree angle roads) and Vinewood with those small windy roads? Tbh flattening the surface here and there would improve AI driving. It would be good to have some Screenshots in the OP, OP. Eh I got some weird bug when using insanity audio 2.1 and this mod. For some reason audio starts cutting out randomly and I don't think this mod is even supposed to touch any audio??? Do you think that this mod causing the bug I also use Insanity sounds with the both merged version. It is a great mod..
well after removing T&T there is no more audio cutting, so to some extend it probably causes the audio to mess up somewhere along the lines, but Insanity Audio really is well over the limit's GTA SA has for sound duration so who knows. Can you explain more about audio cutting??? Some sounds stop playing at all with T&T, most cut off at random. Whenever I gain a wanted level only the first part of the police radar sound plays on loop (will keep playing until reloading a save). Sometimes gunshot sounds don't occur. People's talking stop mid sentence. Some carsounds will cut off at random. However most of this happens during rain (I'm using ezekiels rain noise fix) and the issue doesn't occur without T&T. Curious though that nothing isn't how it's supposed to be in cutscenes, all the audio there works fine. i think this mod is a milestone in things of adding new vehicles to the game like planes, boats and things like attached trailers. now when i read that it's possible to let you have multiple cop cars chasing you while multiple cop cars patrolling in the city would be "unnecessary" or unrealistic.. that troubles me in a way. - add new trains? (i know it's kinda possible with train limiter, but it's not the real deal, is it? i mean what about something like a traingrp.dat, where to add a model and texture name of a custom train, that appears now in the game like and especially with the original ones? e.g. 2 or more brownstreak trains at the same time? and their included wagons? - custom added (not replaced!!) police cars to the game, just like the feature in your .ini file that lets you have multiple fbi ranchers or multiple enforcers chasing you. - or what about a fbi rancher patrolling around the city? since i try to add military vehicles to cargrp.dat, the game crashes when it comes to load these vehicles. Your mod has problem (crash) with the mission 'Green Goo', the last one from The Truth, where you need to steal a "think" on a train. I think there may be a possible bug when Cesar tries to call you about the Drug money or Coke while you're in San Fiero. My game crashes right when I get the phone call. I think it might be related to the popcycle.dat or cargrp.dat when the game tries to load the guys on the dirt bike or the cars transporting the money [patriot i believe]. Can someone else test this and see what happens when they get the call?? Also disable softtraffic. They go pretty much together. 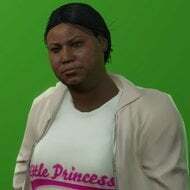 This mod comparable with http://gtaforums.com/topic/793090-sarel-real-traffic-fix/page-1 ? Not at all, they are different mods with different objectives. Use both together (softtraffic & handling off for this mod) to have better and correctly functioning traffic.